The Star SM-T400i is a rugged mobile printer offering simple, smart Bluetooth printing; compatible with all major operating systems including iOS™, Android™, Windows™ and Linux™. The SM-T400i offers Advanced Apple Inc. MFi Certification allowing it to pair with iPad®, iPhone® and iPod Touch® along with all Bluetooth SPP (Serial Port Profile) devices with additional wired serial connection flexibility. 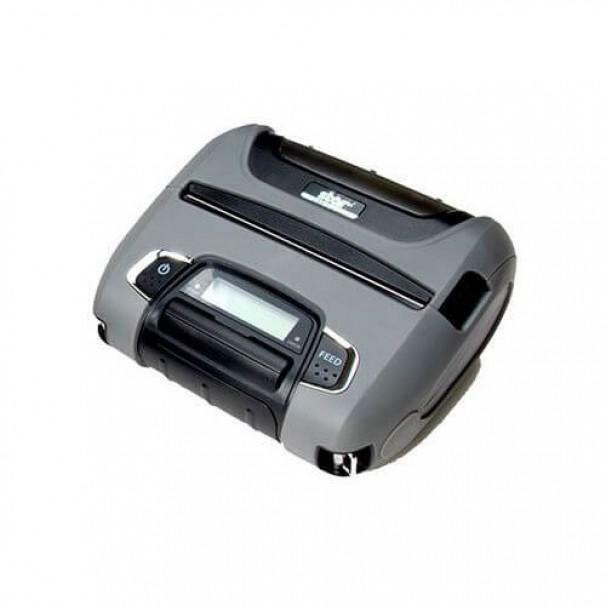 With a durable splash and dust proof design and the ability to be drop tested up to 1.5 metres; the SM-T400i fits seamlessly into the majority of environments including retail, hospitality, field work and anywhere where a handheld device is required to seamlessly print to a portable printer. In addition, the SM-T400i offers a 20 hour battery life (printing at 5 minute intervals); high reliability; fast print speeds of 80mm per second; intuitive LCD display, simple “Drop-In & Print” paper loading and easy setup facility.